I have been travelling to California recently and had some great foodie experiences in San Francisco which I will be writing about soon. Back home I have been meaning to visit East London where my ancestors & parents grew up. I too am an ‘honorary cockney’ having been born in Homerton, Hackney where the Bow Bells could just about be heard if the wind is blowing in the right direction! I have seen some great photos & feedback on The Good Egg (@thegoodegg_ , http://www.thegoodeggco.com) from Michael Zee, creator of the fantastic Instagram phenomenon @symmetrybreakfast (#symmetrybreakfast , http://www.symmetrybreakfast.com) & Felicity Spector (@FelicitySpector, Chief Writer of Channel 4 News, food lover & writer) so had to check it out for myself. Stoke Newington Church Street has some great independent shops reminding me of Cow Hollow or Hayes Valley areas in San Francisco or Boerum Hill or Carroll Gardens in Brooklyn, New York. I arrived just after 2pm on Monday & the place was full with a buzzy vibe – always a good sign. I had a quick chat with Thom & Carmen and after a few minutes wait, got a table. The Brunch menu has a Middle Eastern/ Israeli influence with a twist. The owners (Joel, Oded & partners) were inspired to open the cafe after eating in delis & cafes in Montreal, Tel Aviv, California & New York. 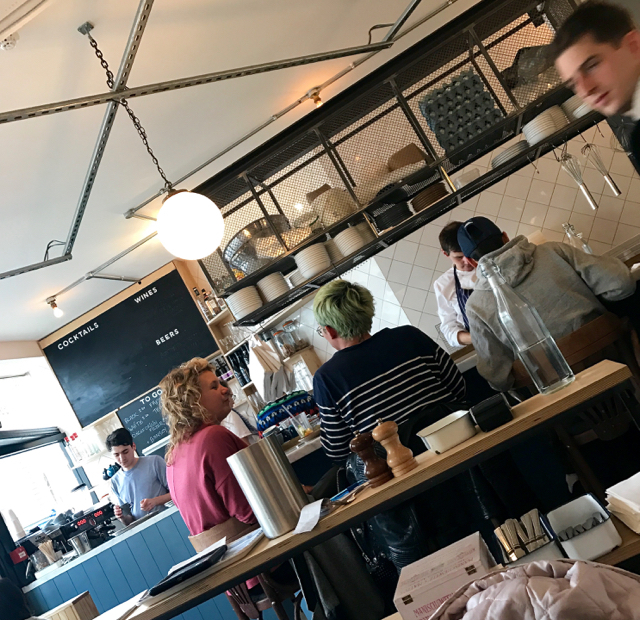 The cafe has been open since November 2015 and is a welcome addition to the local food scene. After the usual chat that “I’m a food blogger, what would you recommend to eat?” I decided not to go for Shakshuka – the dish that put The Good Egg on the food map. 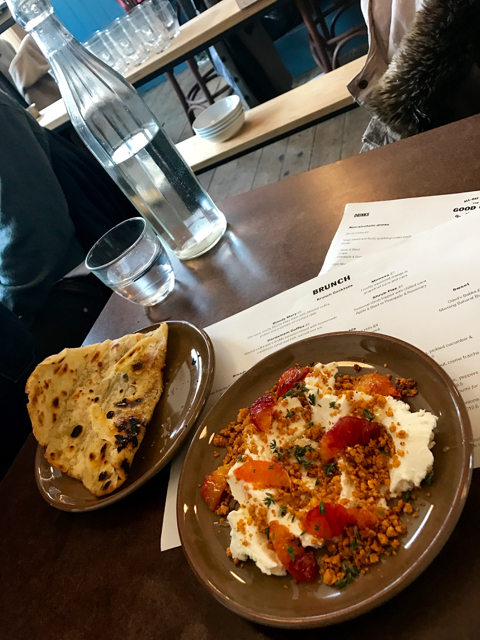 I went with Carmen’s suggestion and ordered the whipped feta, fresh blood orange, dukkah, thyme honey along with a warm toasted flatbread, that had been lightly brushed with honey & a sprinkling of za’ atar. For those not as familiar with the spice mixes of the region dukkah is a mixture of herbs, nuts ( usually hazelnuts) & spices from Egypt and traditionally used as a dip with bread or vegetables as a starter/ appetiser. Za’atar is actually wild thyme but also a traditional Lebanese spice mix of thyme, sesame seeds, sumac and salt, although there are many variations around too. 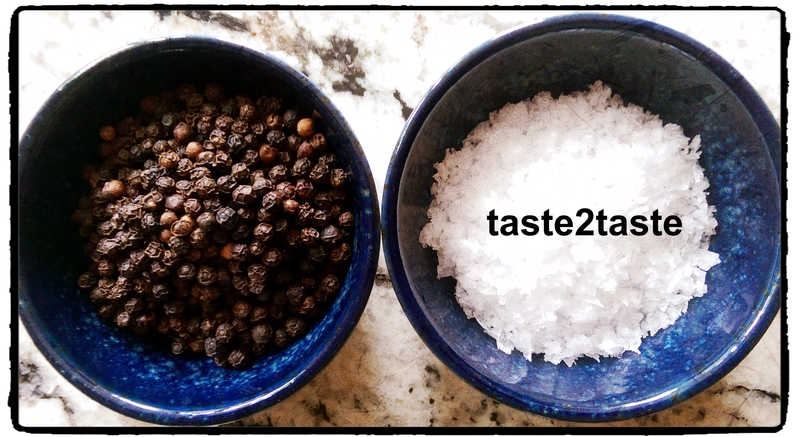 Enough spice facts – how did it taste? One word – delicious – a great combo of salty feta, tangy blood orange, a sweet hint from the honey, and savoury layers of flavour and texture from the dukkah & flatbread. I then had the Iraqi aubergine pita (Photo at the top). A beautifully presented dish of warm pitta & fried aubergine, perfectly cooked soft boiled egg topped with dak dak salad (Israeli salad of cucumber, tomato, lightly pickled red onion rings, pickled cucumber & herbs). The dish was served with Amba – a tangy mango pickle condiment (yellow dish in the photo) and Zhoug (green chilli, parsley, coriander, garlic & spices – green dish in the photo). Again a fab combo of tastes, textures & temperatures – the slightly warm aubergine & egg with the crunchy cool salad, and the tahini & amba meshing all the flavours together. It was one of the best vegetarian dishes I’ve eaten in a long time! 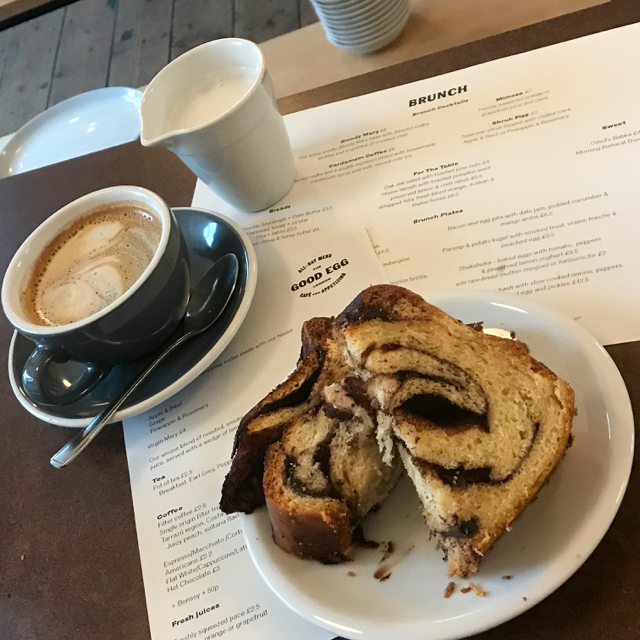 I was pretty full but had seen the chocolate & pecan & date babkas sitting on the counter. I had an interesting foodie chat with Fi about the Melbourne food scene & she mentioned that Oded, one of the chef/owners, makes it everyday from his mum’s recipe. So it did not take too much persuasion to have a slice of the chocolate one along with an Americano ably prepared by Harry. Buttery, chocolatey and yummy! I was going to take a bite and take the rest home, but magically managed to eat the lot! 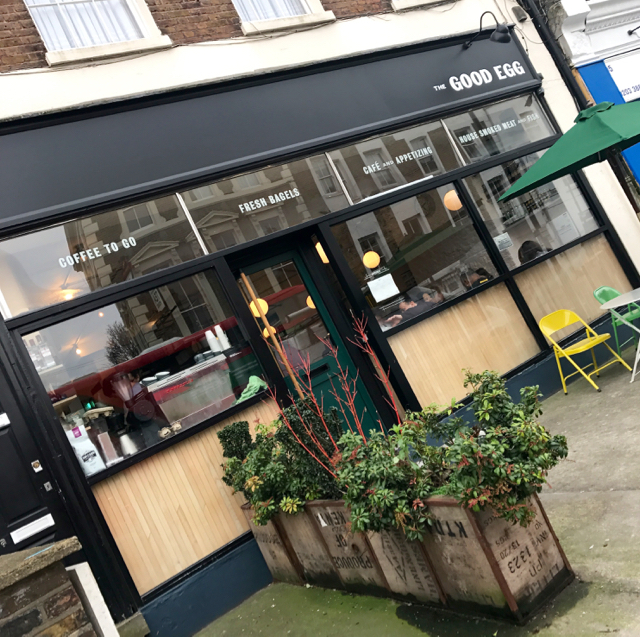 I really enjoyed my visit to The Good Egg, with chefs Gianluca, Matt & Jesper, doing a fab job with some great tasting food, Harry making a great coffee & Thom, Carmen & Fi providing welcoming, friendly & efficient customer service. The cocktail list – both alcoholic & non alcoholic looked interesting too so I will have to return soon. 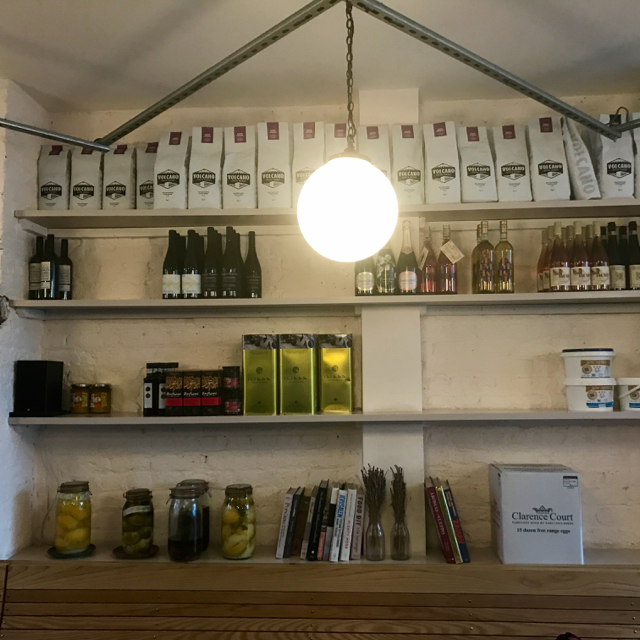 The Good Egg – go there!